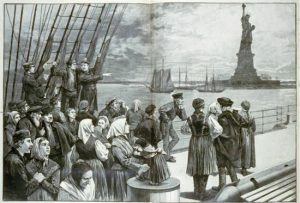 Catholics have a long heritage and tradition dealing with immigration and integration into a society. To read about St. Thomas’ teaching on immigration, click here and here. Listen to this excellent 6 minute presentation – explaining the correct Catholic view of immigration intelligently and sanely – not like much of the hysterical discourse in the country today.